Here in South Florida there is one thing as sure as our golden sun is going to rise over the Atlantic. Our warm, wet climate is a haven for mold. We get it all. After a few hurricanes you will see yellow, green, even red mold. This mold can cause illness, damages your health, hurts your lungs, and powers endless allergies. Often people don’t even know they have mold. They may be able to smell mold and something is making them sick, but they can’t see it. That’s where Preventive Maintenance Support Services Company comes in. We are experts at finding mold. We can thoroughly assess your building or home to know if mold is present and where it hides. 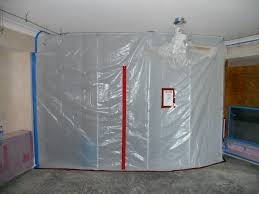 We can also make the repairs needed to get rid of mold and mold ridden structures. In the past we've found mold covered walls on the inside of homes that residents couldn't see. The wall can be replaced and the mold is gone. That's just one simple example. We have encountered countless mold situations we were able to assess and remediate. In our long 21 years of working the construction and maintenance industries in Boca Raton and South Florida, we have probably garnered more mold experience than most other construction firms in the US. You can rely on us to put mold on the run. Give us a call TODAY and let's discuss your project. Call (561) 586-5655 for your no-obligation discussion and FREE quote.